StormGeo acquires a majority stake in Climatempo; Carlos Magno do Nascimento, founder and president of Climatempo, continues to lead the company as CEO. Bergen, Norway, and São Paulo, Brazil – February 19, 2019 – StormGeo, a global industry leader in weather intelligence and decision support solutions, and Grupo Climatempo, the leader in meteorological services in Brazil, have today signed a partnership agreement in which StormGeo acquires 51 percent of Climatempo. Carlos Magno do Nascimento, founder and president of Climatempo Group, will remain at the helm of the company as CEO. The transaction crowns Climatempo’s transformation journey, expanding the company’s original focus on consumer segments into a variety of industries through substantial investments in innovation and technology. By partnering with StormGeo, Climatempo gains access to complementary products and technologies to further strengthen its competence and reach, including services and solutions focused on the utilities and renewable energy sectors. StormGeo’s global presence will broaden Climatempo’s network and enable the company to better serve international clients in Brazil. With the addition of Climatempo, StormGeo is uniquely positioned to deliver innovative weather intelligence, not only to Brazil, but across all of Latin America. According to Carlos Magno, founder and president of Climatempo, “The partnership with StormGeo positions us as a strong global competitor in meteorology and represents an immense gain in technology. Solutions in artificial intelligence are increasingly fundamental to most industries, and meteorology is no exception. Our industry requires more investments in technology to improve its competitiveness. Together with StormGeo, we are now ready to take a big leap forward." 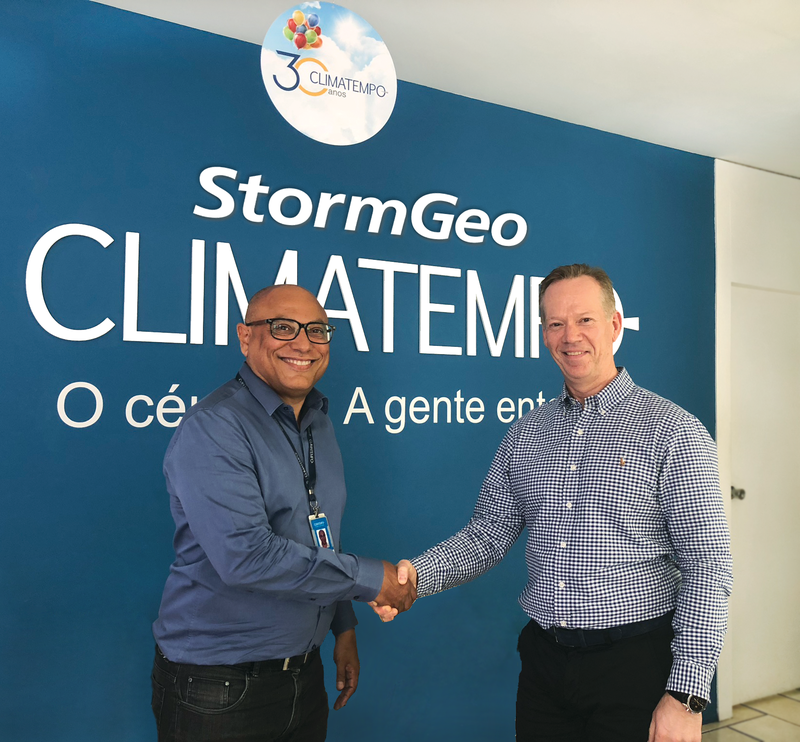 With this partnership, StormGeo also acquires 30 percent of TV Climatempo, the only Brazilian national weather channel with programming focused on climate forecasts and environmental sciences, socio-educational environmental content, tourism, agriculture and recreation. BRG Capital acted as financial advisor to Climatempo in the transaction. StormGeo is a global provider of weather intelligence and decision support services, with leading solutions for shipping, oil and gas, renewable energy and utilities. Our products and services help clients manage risk, optimize performance, reduce costs and increase revenue. StormGeo operates from 26 offices in 20 countries. As a participant in the UN Global Compact for Sustainable Ocean Business, StormGeo’s passion for weather and the protection of natural resources is a motivation to support its clients in making informed, environmentally responsible business decisions. The company is ISO 9001 certified and is dedicated to providing the best possible support and quality of service. Climatempo, a pioneer in private meteorological services in Brazil, was founded in 1988 by Carlos Magno do Nascimento and Ana Lucia Frony de Macedo. In the beginning, the company provided weather information to communication groups. Today, the top media groups in Brazil as well as other segments, such as retail, industry and engineering, receive meteorological information from Climatempo. The company has terrific brand recognition across multiple industries, with 1.6 million followers across its social networks, and its online platform gained more than 60 million unique users in 2018, a 46 percent growth from 2017.